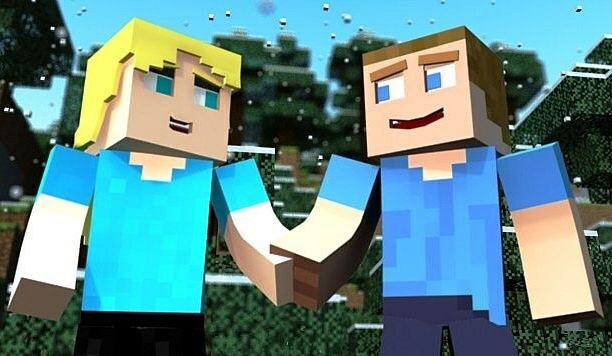 The world of "Minecraft" is extremely interesting and exciting, but fraught with many dangers in the form of various hostile mobs that await virtually any dark area, and eager to deprive a gamer of his virtual life. To defeat these monsters is easier for a couple with a friend - and the whole "doubles" the gameplay will be many times more interesting than a single. How to customize the game to be able to pass it together with a friend, a soul mate? To organize a game for you, you have several choices. The most affordable is to create your own server (and then just tell the other his IP by the way, the same way you can assume there are actually any number of friends). First of all, download the installation file to the server with any dedicated plug-ins or software for Minecraft resource (e.g. Bukkit). Make the desktop of your computer folder for the future of the Playground. Create a new text document and copy the configuration file of the installation program the line settings for 32 - or 64-bit (depending on the technical characteristics of your version of Windows), inserting them between the letter C and a dot jar. In the window that appears, click Yes. You must resave the text file as Start.bat (the source then delete) and run it. Will begin to generate the server and the world on it. Make the necessary settings on the server. Then run your Minecraft, select the option Add server and in the next lines write the name of their future Playground and its IP. In order to know the latest in the start menu of the computer, locate the line "Run" (if you have XP) or "Files and folders" (Windows 7). There enter cmd, and on the opened console, type ipconfig and press Enter. Copy open there address (the one through which the Internet works) on the above menu bar "Minecraft". However, this is not the IP that will need your friend to log on to your server. In order to find the right combination of numbers, go to the appropriate resource for identifying the network address (e.g., www.2p.ru), press the enter key, and you will only need to copy and give to a friend visiteuses character set. If you don't want to hassle with making servers, purchase network cable which will physically connect your with PAL computers. Open your "Minecraft", wait for the new game world, then hit Esc, and then in the appeared menu, select the option "Open network". Adjust settings gameplay at its discretion, allow the corresponding button on the screen network access. Then rerun Minecraft (without closing the previous one), go there under a different username, select the game on the network, copy visiteuses with the IP and then tell his mate. You will be able to play with friend on LAN even without cable, if you install the free program Hamachi. Download the installer (and the installation file for the server), run it. Rewrite visiteuses IP, then click on the button that starts the process of creating a new network and enter in the ID of its own nickname, enter your password and click "Create". Unzip the archive to the server, run the Start file corresponding to your operating system, open server.properties and write there in line with motd after "equal to" the nickname that was specified when creating a network in Hamachi. Let's run this program, create through her server and enter the previously saved IP. Let his friend along with a password. Turn on the game and enjoy it for a couple. If you have a console (like the Xbox), you can try to fight with a friend in Minecraft and there. You need a TV with a high screen resolution or hdmi cable. Connect two joysticks with one of them, go to the game with your nickname. Change one of the settings in it with 1 for play2. On the second joystick, click "Start", enter the nickname buddy. If done correctly, the screen will be divided in half for each player. To stop your server while they work on his console, before exiting enter in the lower line the stop command. Easy closure by pressing on the "x" in the upper right corner can lead to tragic consequences in the form of incorrect operation of the Playground until the disappearance of the card.